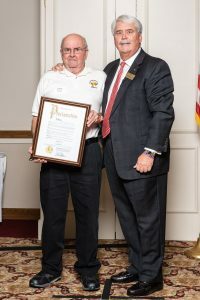 The City of Kettering holds two events each year to honor the many volunteers who contribute their time and talent with the City. Every spring at the Fraze Pavilion, an event is held for our volunteers in celebration of National Volunteer Week. At this event, volunteers gather to enjoy entertainment and refreshments. In the fall, a Volunteer Recognition Luncheon is held for volunteers and their staff supervisors. At the luncheon, the Mayor presents volunteers with awards based on cumulative hours contributed.